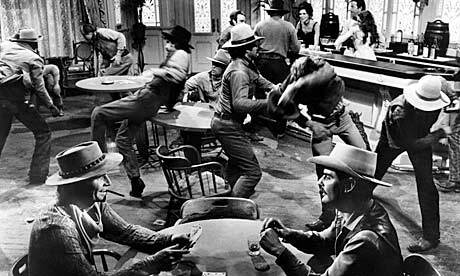 It only takes two people to start a bar brawl. Someone knocks over a beer, the guy hits him, and soon everyone is fighting. Violence always spreads and there is only one thing that you and I can do that stops it: We must not join in. No matter how angry one might feel about a situation, joining a violent gang is not the answer. Yet many will be tempted. Fueled by foolish rhetoric, irresponsible journalism, and insecure governance, some will go from spectators to participants. And what began as an isolated scrap will turn into a national brawl. The only way to stop the spread is not to join in. Solomon addresses the temptation to join a violent gang in the first chapter of the book of Proverbs. His advice is simple: don’t! Notice what Solomon's imagined gang leader offers to his potential recruit. First, he offers easy gain through ambushing the innocent. Violence appears to offer an easy way to what one wants. It takes it by force. Political violence is motivated by the desire to achieve political aims in the easiest way possible. Violence circumvents debate, good argument, compromise, and civility. Instead it is a means to beat an opposition into submission. Second, the gang leader offers power. Solomon's gang leader tells his recruits that they will have the power to send their victims to Sheol, down to the pit. The mob offers a way to have power over others through the use of clubs and cars. Finally, the gang leader offers a sense of belonging. The gang leader tells the recruit that he will have 'one purse' and that they will be 'thrown in together'. The kid who is alone is susceptible to this offer because he wants to be part of a group. The gang will accept him and no longer will he walk the halls alone. Suddenly he is ‘in’. And it feels good to belong. So, what does the father say to his son? "DON’T DO IT! Do not be enticed by what the gang has to offer!" For their feet run to evil and they hasten to shed blood. Indeed, it is useless to spread the baited net in the sight of any bird. But they lie in wait for their own blood; they ambush their own lives. So are the ways of everyone who gains by violence: it takes away the life of its possessors. Solomon tells us that while the gang hastens to shed blood, it is their own blood that will be spilt. They are like a bird who sees the trap being set and flies right into it. In this case, the gang set the trap for others, but it is the gang who are ensnared by it. The irony of the violent gang is that the one who thinks he can gain by violence turns out to be the one who loses by it. If we join with violent gangs, the violence will eventually get to us. If we side with the violent gang, we will meet our end in violence. And all the promises of the enticing gang leader will be proved false. Instead of gaining, we lose everything. Instead of power over others, death will have power over us. Instead of belonging, we will be eternally alone, utterly rejected. So, at this time in America, we need wisdom - the wisdom to refuse to join with the thugs who seek violence. When the night comes and the mob calls us to go into the streets to shout, hit, curse, and destroy, we should shut our doors, close our windows, stay home, and ask the Lord to bring peace and justice to this land. Then we should demonstrate our love for one another in our actions. When the mob loses steam and the dawn breaks, we should share the only hope for sinful men and women of whatever color or background - the hope found in the good news of Jesus Christ, the Prince of Peace.